Launch ADSI Edit management console on your DC by the command ADSIEdit.msc through command line or Run window. In the Connection Settings dialog box click the OK button. 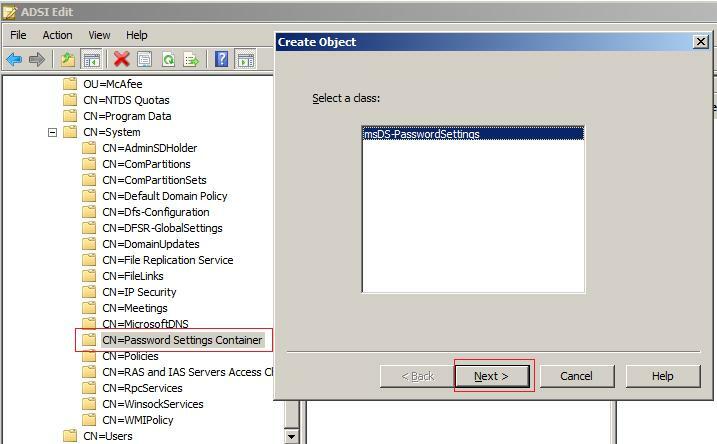 In order to link the fine grained password policy to the correct user or group, you'll need to configure an object attribute msDS-PSOAppliesTo. 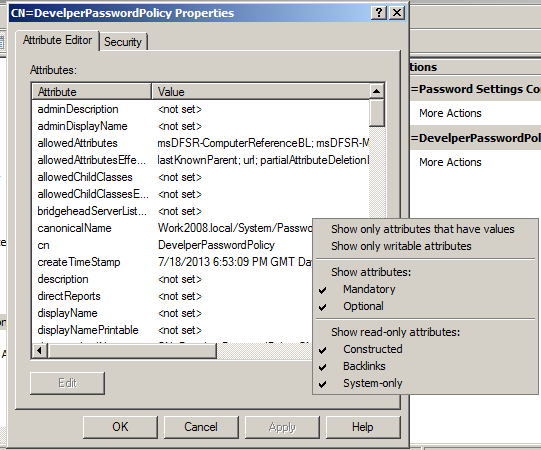 In order to see all the attributes, ensure the Show Attributes is checked properly in ADUC or ADSIEdit like below image. 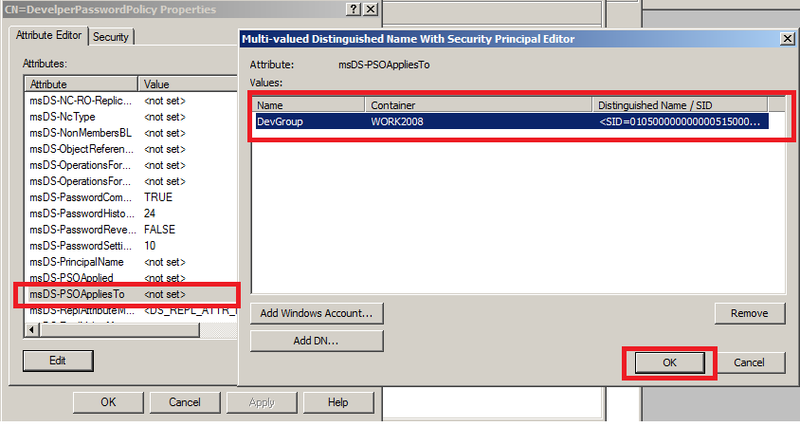 In the attribute list for your FGPP/PSO, scroll down to the msDS-PSOAppliesTo entry and double-click this attribute to see the Multi-valued Distinguished Name With Security Principal Editor dialog box. then add in your object to the editor. Here, I have added the group DevGroup. 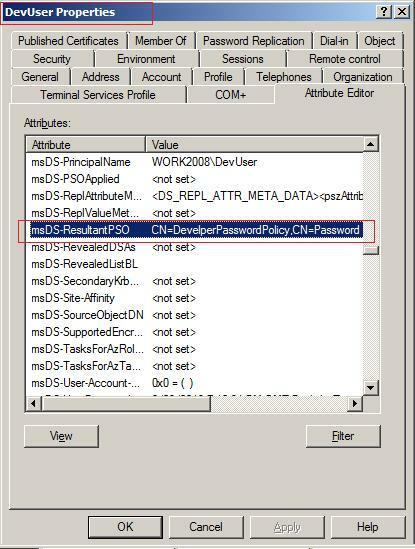 To verify that the user in the DevGroup has the correct password policy, go to the user's [DevUser] properties window in ADUC, then looking at the msDS-ResultantPSO attribute. Now, you have successfully created fined grained password policy and linked it to an user.